It is a FANTASTIC day because . . .
1) Today marks the end of our 10th rotation! TWO MORE! 2) As of yesterday Josh is officially employed as a surgical sales rep in Dallas! I couldn't be more proud of him and I'm thrilled to see all his hard work finally pay off! He finally gets to do what he's been dying to do. It is one of my oldest and closest friend's 24th birthday! I have been blessed to have grown up with Elizabeth and we have been classmates from pre-school all the way to our senior year. Even though we parted ways for college, we have always remained close. I am joining Nicole (our other partner in crime) for a trip to Auburn this weekend to spend some quality time with the birthday girl! I am SO unbelievably blessed to have had these girls in my life! Our first night out in Ruston as official college students. Another night out in Ruston, as older college students. You are THE smartest, bravest, most entertaining and witty girl I know! I'm so lucky to have you in my life, and I love you sooooo much. Can't wait to spend the weekend with you in Auburn country! This just made my day! Thanks Em! I'm so blessed to have you in my life,and I can't wait to share many more memories with you. Look out Auburn! #Minden #Caged #Goldengirlswag is headed your way! + Happy Birthday to Liz ! Man, Em! Many tears here! This was so sweet of you! What a great friend you are - thanks for being Elizabeth's! Your hair is all so beautiful! You all are lovely ladies. Aren't friends wonderful?! Looks like you have a really great one :) How neat that she goes to Auburn! That's a little over an hour from where I live... small world huh? Thank you for your comment on my book post! I can't imagine being in grad school and trying to find time to read. You go girl! 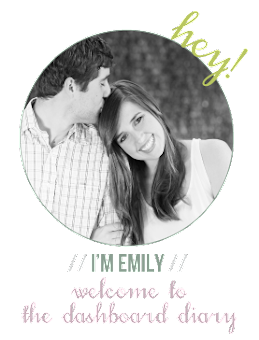 Oh and you have such a cute blog. so sweet! and love the texts. happy birthday to her!!! Aw this is awesome! Love your fun friend pics : ) Missing my friends so much! These are adorable. Girl Power rocks! so fun!! happy birthday to liz!! stopping by from alyx's blog! can't wait to peruse some older posts!